The group photo of the Ukrainian and Turkish participants on board of frigate Hetman Sahaidachny. Photo: Turkish Navy. 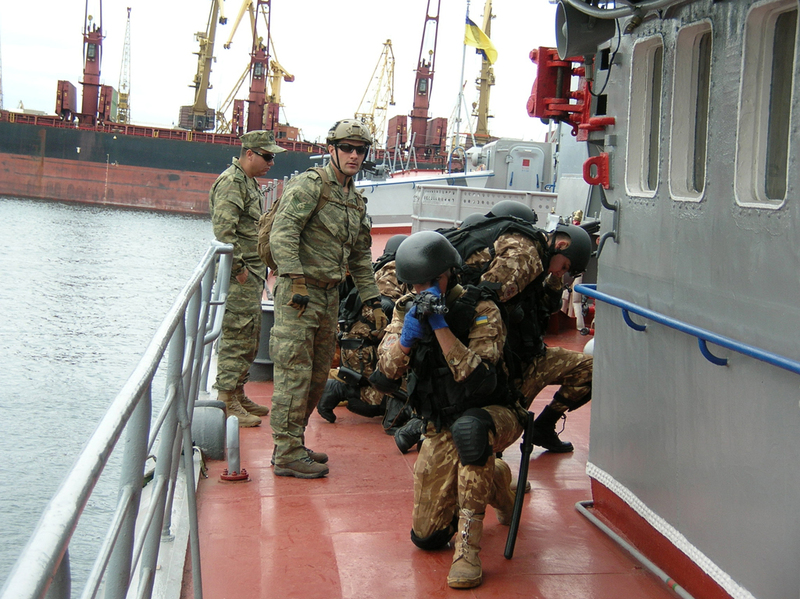 The mobile training team of the Multinational Maritime Security Center of Excellence (MARSEC COE) trained the vessel boarding and inspection team of Ukrainian frigate Hetman Sahaidachny. 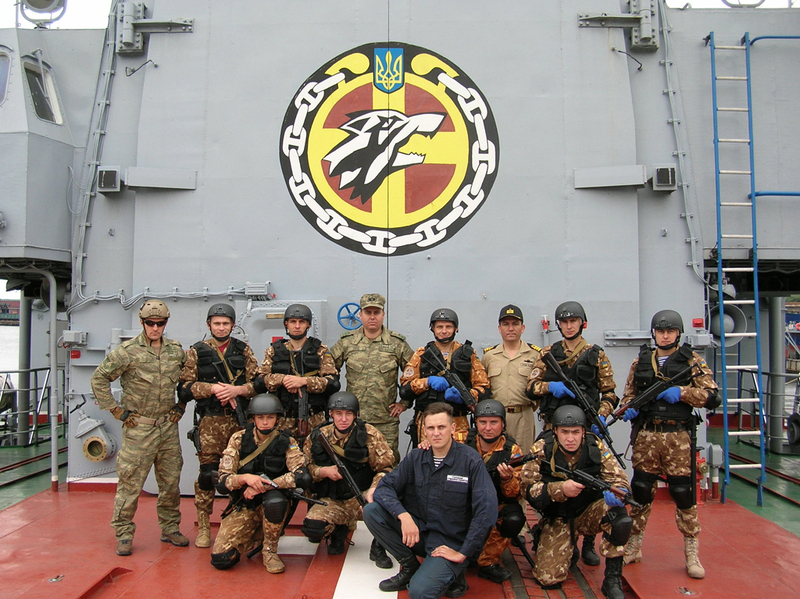 The training was held between 15 and 18 June 2015, in Odessa Naval Base and on board of the frigate Hetman Sahaidachny. The MARSEC COE is based in Aksaz Naval Base, in Marmaris Turkey, with the mission to support UN, NATO, partner countries and maritime security stakeholders by providing subject matter expertise on comprehensive approach with all levels and aspects of maritime security. Turkey provides 64 percent of the manning.